For Patience's birthday in early October, I had been planning on taking her to Evangeline's for a long time since it's a NOLA-themed restaurant. With River Bend closing several months ago, we were due! I had previously attended a crawfish boil earlier in the year while Patience was out of town so I really owed her big time. To make things easy, we just sat at the bar even though I had made reservations, but it was still pretty quiet at 6pm on a Friday night. 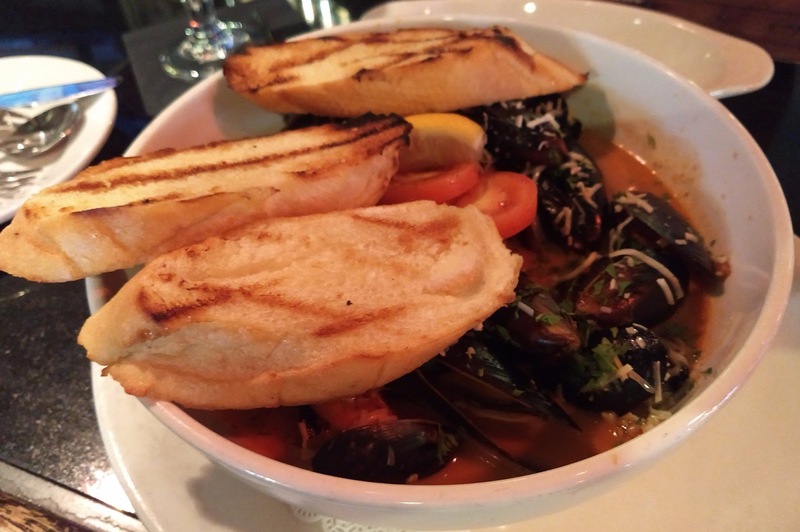 I let Patience order all her favorites, although we ended up going with the pasta special instead of having a more traditional gumbo or jambalaya dish, but that just means we want to go back! We started off with cocktails and mussels, both were winners. 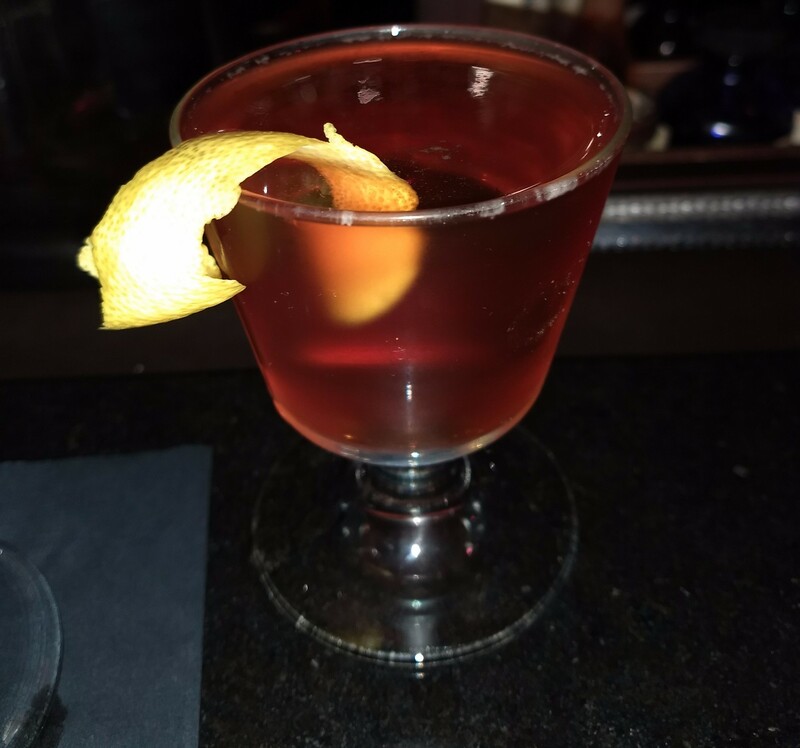 The cocktail was a bartender's choice, but since it's Patience, there was definitely some bourbon in there. 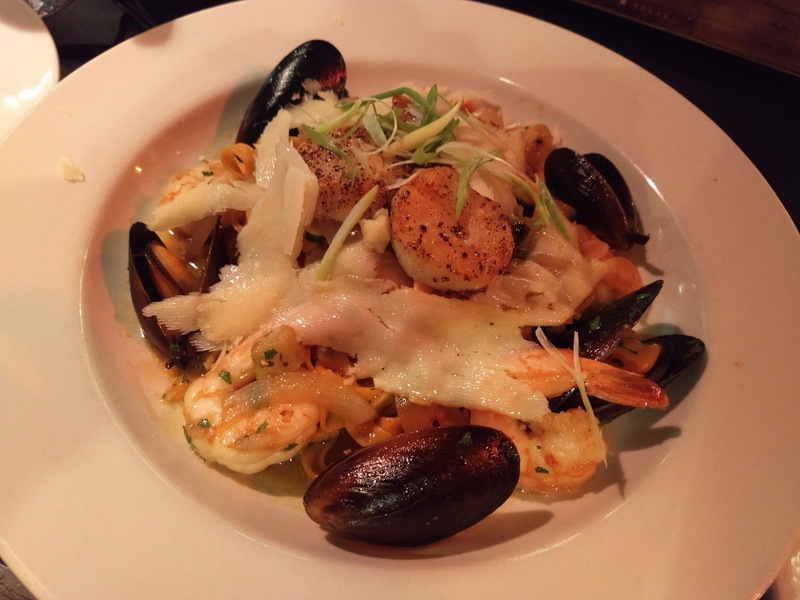 The seafood pasta special meant even MORE mussels with shrimp and pasta - not too spicy so we could split it. 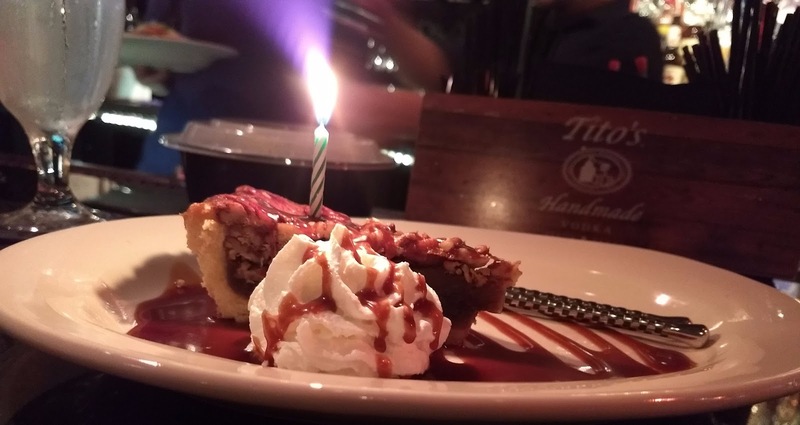 The bartender and owner were very generous and put a candle in our pecan pie birthday dessert! Bread pudding...with a birthday candle! This kind of hospitality made me wish we lived in the neighborhood so we could stop in more often. We really felt at home there and can't wait to go back.